Did you ever wonder why your teenagers listen to their coaches and not to you? It’s because coaches hold them accountable! Show up on time or get benched! 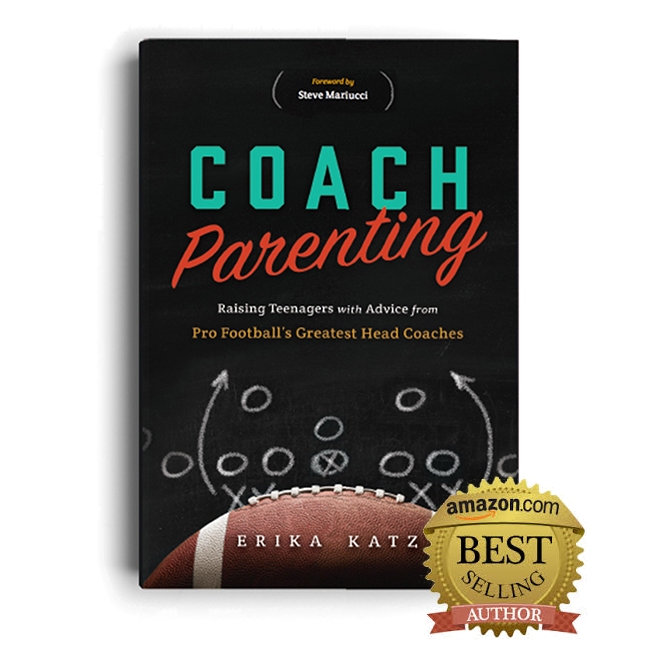 To turn your family into a championship team, take a page out the playbook of the NFL’s greatest head coaches and start parenting like a coach! Between the texting, the crazy sleep habits, the insatiable appetite, and the pushback at every turn, it’s easy to wonder how you’re going to raise your sons and daughters to be responsible young adults. Grab your clipboard because Erika Katz sought the advice of Super Bowl Winning head coaches John Harbaugh, Tom Coughlin, Jimmy Johnson, and so many more! Katz took their coaching advice and developed a parenting technique that is life-changing for parents. Katz took their coaching advice and developed a parenting technique that is life- changing for parents of teenagers. Through entertaining anecdotes and easy-to-follow tips, Coach Parenting gives parents the tools they need to put their teenage sons and daughters on the path to success! Author Erika Katz introduces you to ways you can implement coaching techniques into everyday parenting. Click image to view the episode. Parenting and coaching are a lot alike. You have to stay on both your players and your kids, hold them accountable, and both need to be respectful and give their best effort with everything they do. We pray to stay healthy, pray to put our best foot forward- whatever is in our hearts. It's okay to pray to win too. You can motivate by being constructive, not just being critical. Parenting and coaching is being there and knowing what’s going on. You need to know what they did right and what they did wrong and then point it out to them. Take the quiz to find out what kind of coach parent you are! Make family mealtime a priority and get your teens talking. 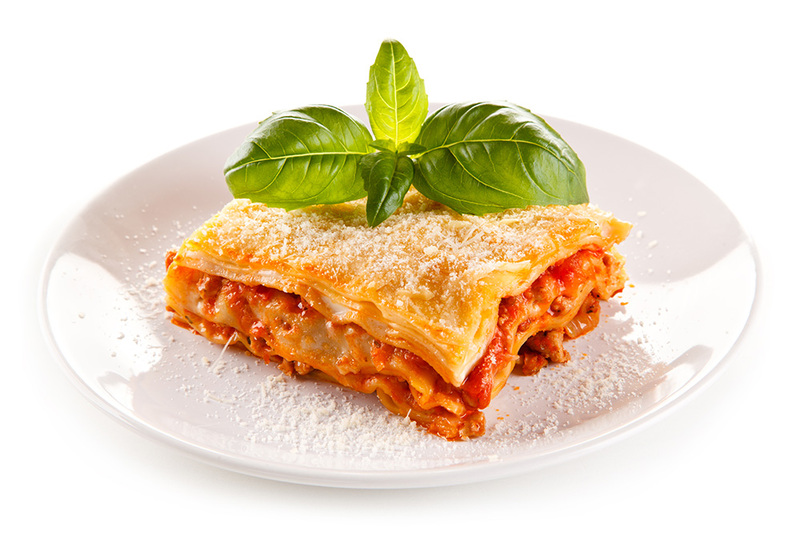 This fool-proof lasagna satisfies even the hungriest of teenagers! 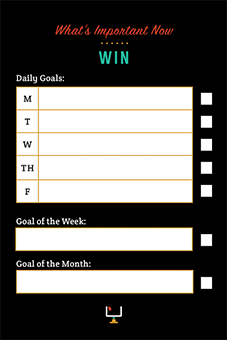 Have your teen write down short-term and long-term goals, create an incentive, and track their progress.